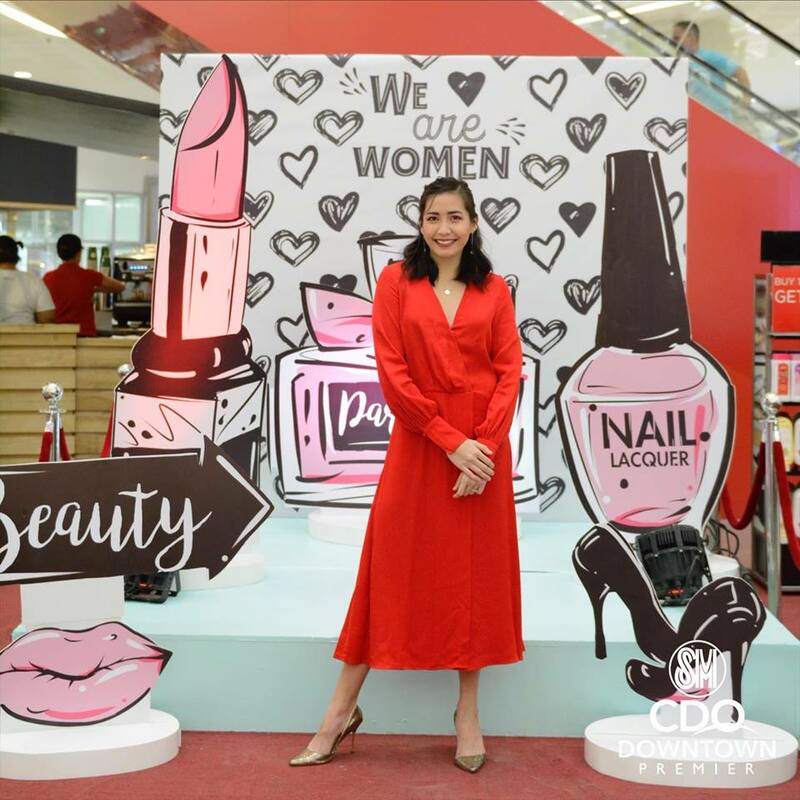 SM CDO Downtown Premier wants this month to be extra special as they celebrate International Women's Month. All the women in Cagayan de Oro get's amazing deals and instant treats for the whole month of March. 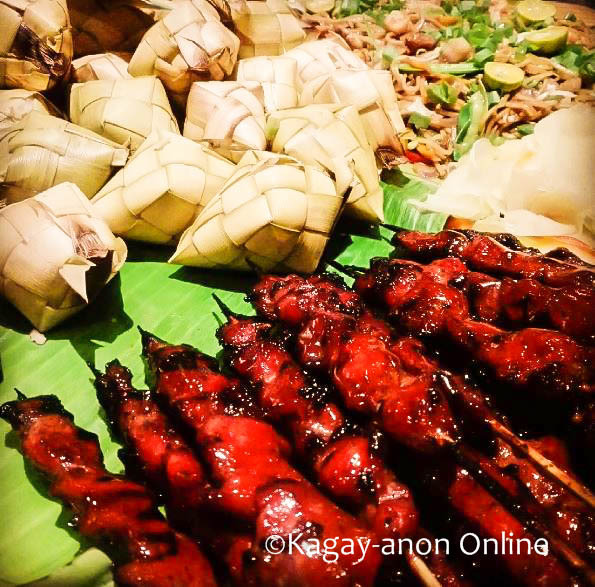 So what are these offerings for Women's Month? Cute Vanity Pop-up for those who love take selfies. For the whole month of March, shoppers can randomly take selfies and groufies at the beautiful set-up located at the event center. These items are located beside the cute vanity pop up at the event center. 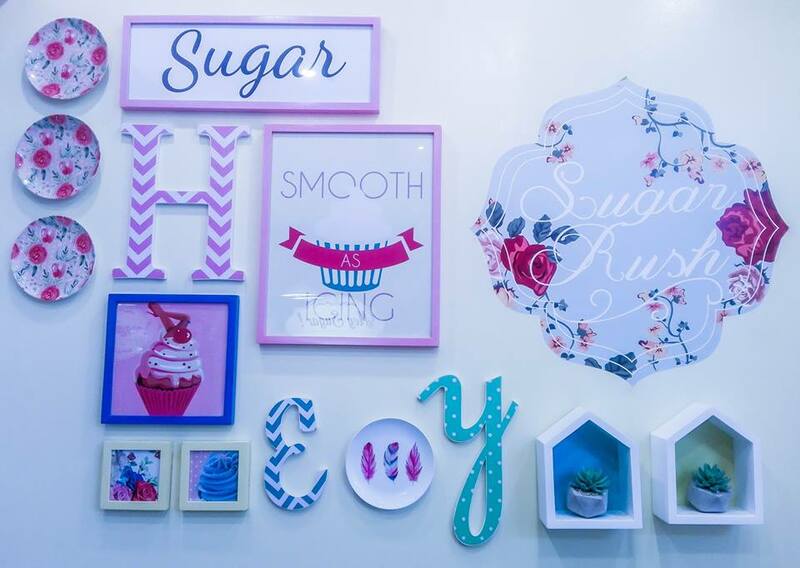 You can choose items from SM Fashion accessories and SM Beauty. Enjoy the SM store's special women's month offer. Get extra 10% off during all Wednesdays of March from participating departments. 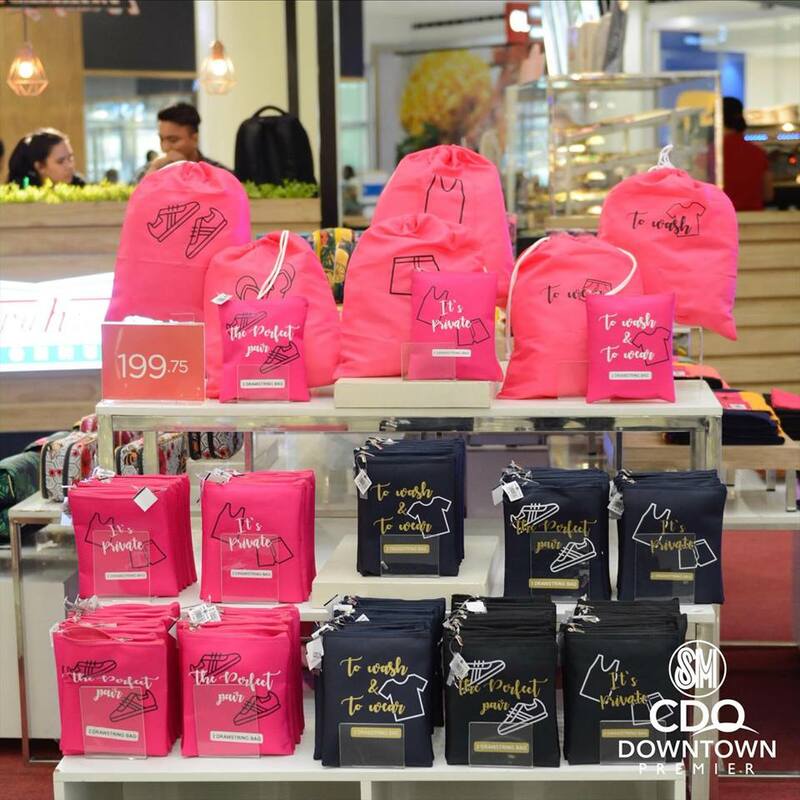 Enjoy sale items from SM tenants such as Bench, Guess, Bayo, Giordano, Mags, Treasures by Carla, Noregold, Forme, Diagold, Oro Italia, Bagel Girl and Dickies. 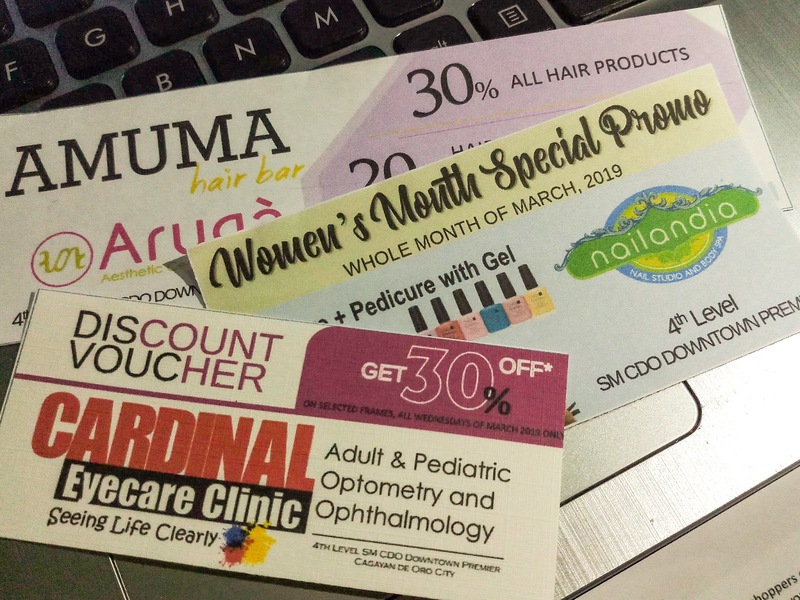 Because women are special, SM came up with offerings like discounts and buy 1 take 1 sale from wellness centers such as: CDO Skin Health Experts, Cardinail Eyecare Clinic, Nadela Dental Care, Nailandia, Aruga, Ammuma and Eyebrowse. Not only that, get instant treat by scanning through the QR cube located at the ground floor (near Uniqlo shop). 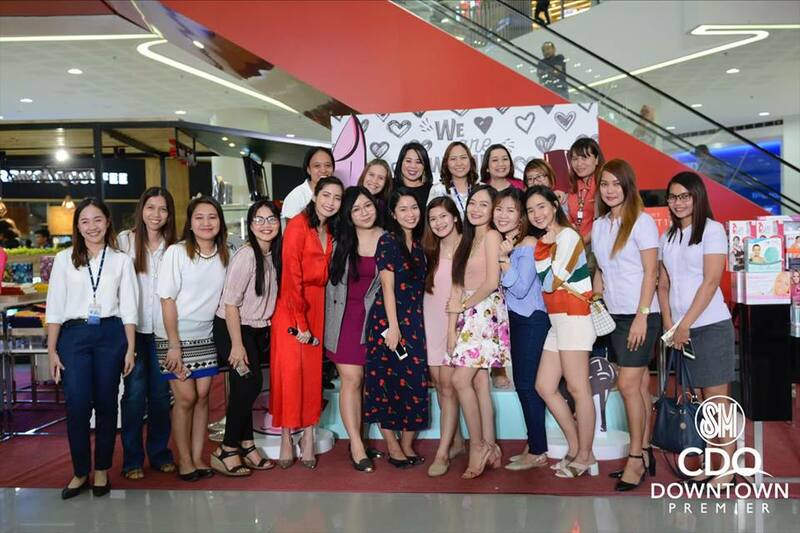 March 23 - "We are Women Talk Show"featuring inspiring women like Tisha Biruar (Muslim Social Media Influencer), Tweetie Bullercer (Fitspirational Speaker from Davao), Karen Lluch (former Ms.Cagayan de Oro and Cancer Survivor) and Ms. Mags Cue (entrepreneur and philanthropist). So save the dates and create SM Moments with your girl friends in this Women's Month! 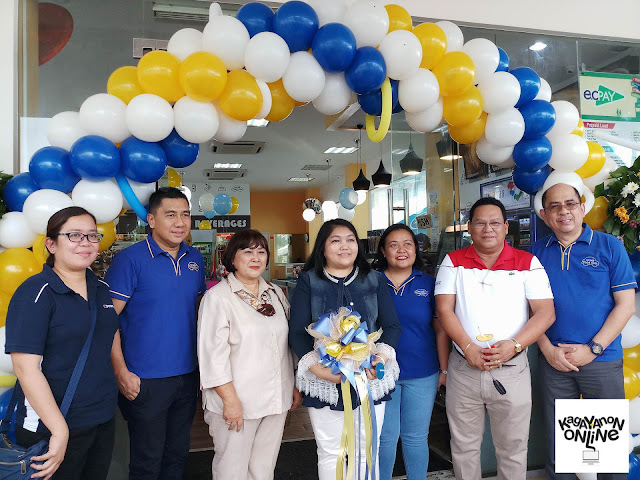 SanMig Food Ave. one of the country’s leading retail store opens its first branch in Mindanao last May 18, 2018. The store is located at PSB, El Salvador City, just along the highway near Divine Mercy Shrine. 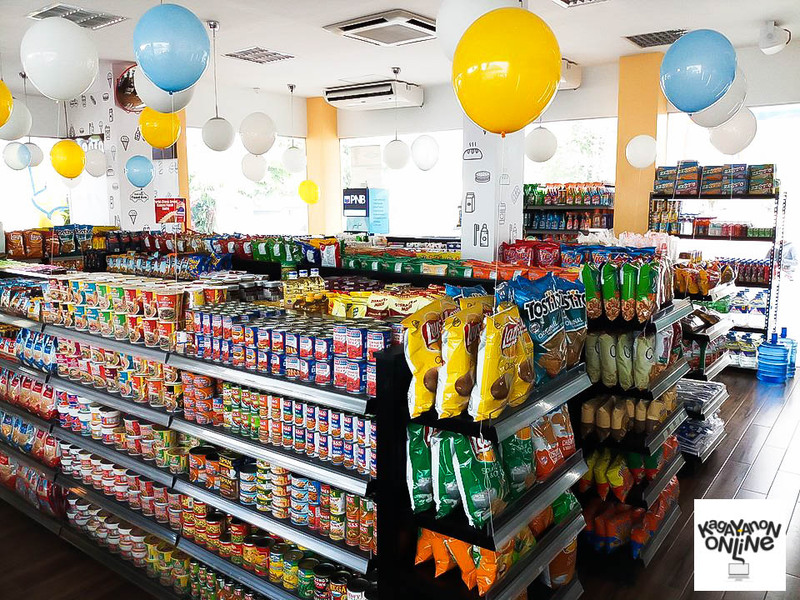 SanMig Food Ave. El Salvador is your one-stop-shop for everything you need. You can find almost all kinds of food products from ready-to-eat foods, snacks, chips, biscuits, ice cream, beverages and bread. 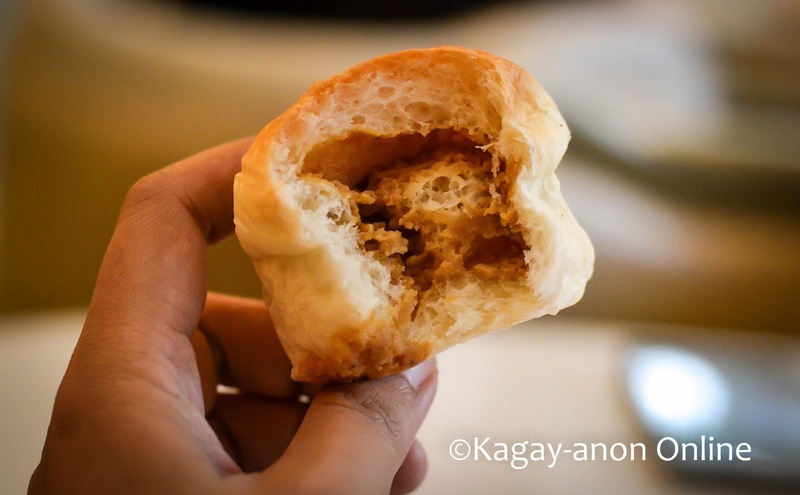 It is also the only retail store that has its own bakery, therefore breads are really served fresh from the oven. 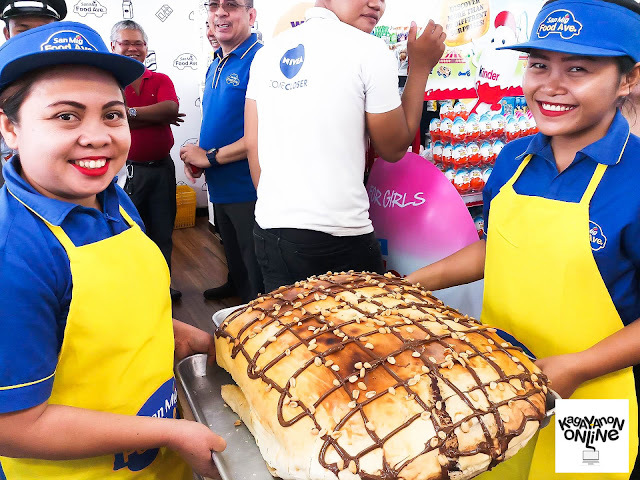 A giant Nutella Bun baked for the grand launching. 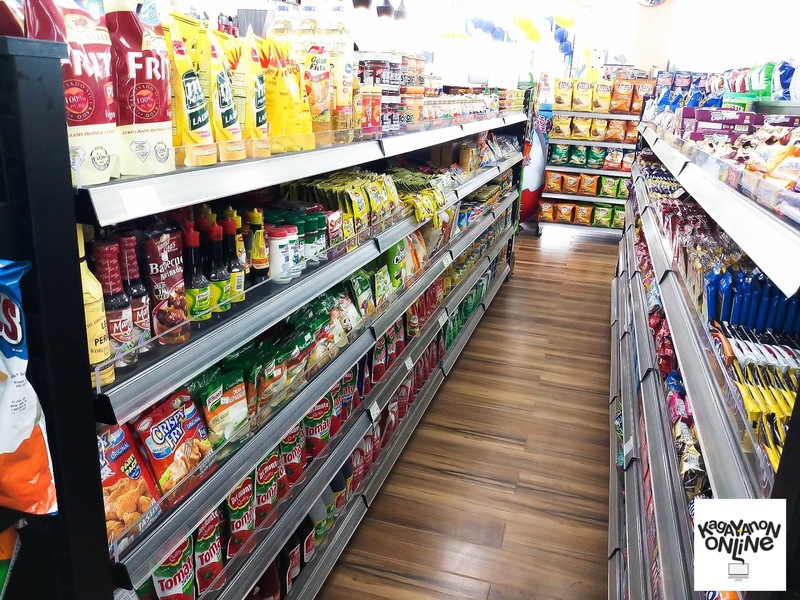 For Non-food products, you can also find toiletries, batteries,magazines, newspapers, lighters, household stuff and many more. Also, SanMig Food Ave. El Salvador has Automated Teller Machine which you can conveniently use if in case you need cash. It also has ECPay Service to help you with your bills payment and cash-in needs. 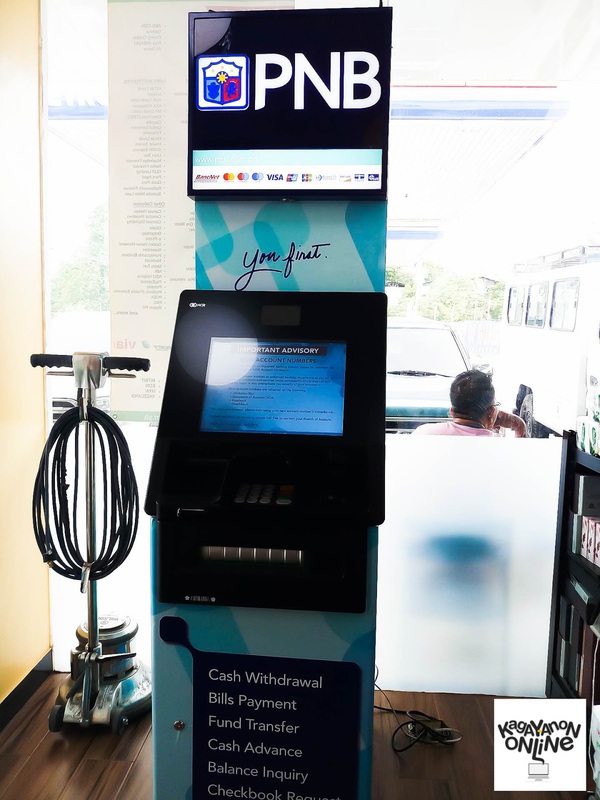 A PNB ATM is available inside the store. Chinabank will add one soon. If you happen to visit El Salvador City, check out SanMig Food Ave. and share to us your store experience by leaving a comment. Just a tip, don’t ever miss to try their breads. 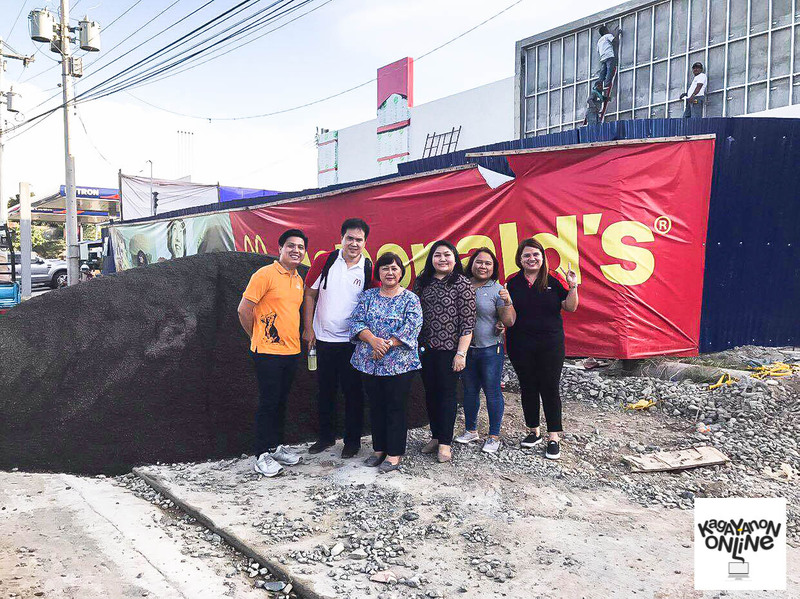 McDonald's is Coming to Misamis Oriental! McDonald’s, the world’s leading food service retailer will open its first store in Misamis Oriental. 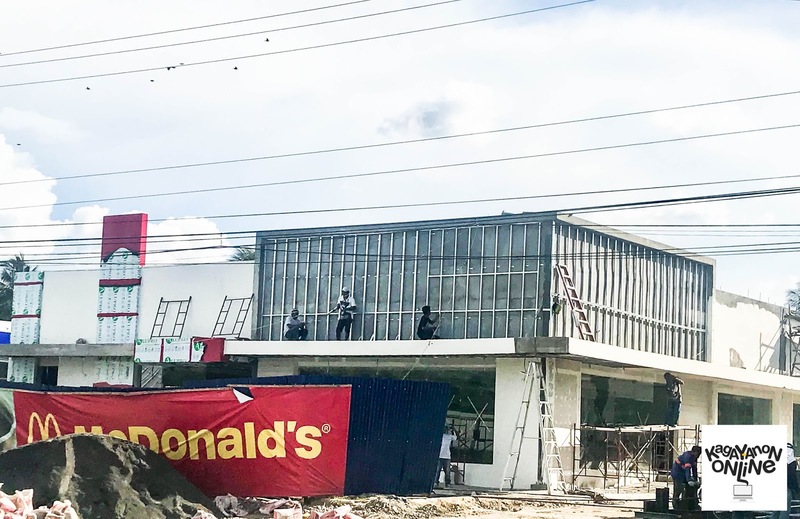 The store is said to be the biggest McDonald’s retail store in Mindanao. 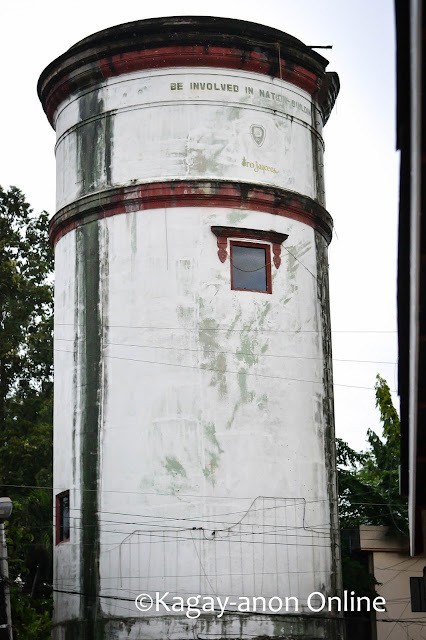 It is located at PSB, El Salvador City just along the National Highway near Divine Mercy. McDonald's El Salvador Executives preparing for the opening. The store is set to open a month from now. Stay tuned for more updates on their store opening. A few months ago, Hey Sugar Waxing Salon opens its first branch in Cagayan de Oro at the 2nd Floor of Centrio Ayala Mall. I’m not into waxing but one thing that got my attention was the word “Organic Waxing”. This means that I don’t have to worry about chemical reactions especially that I have sensitive skin and I am prone to allergies. This made me really happy. 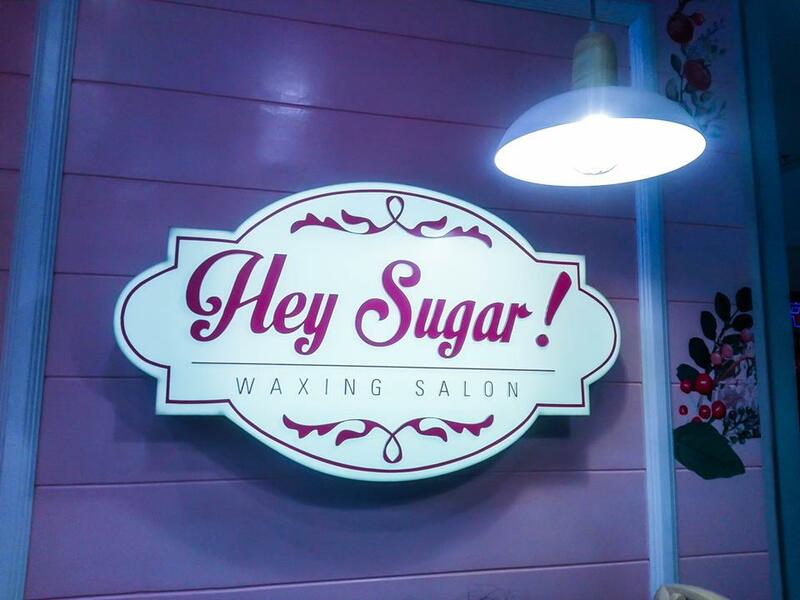 Hey Sugar Waxing Salon is carefully decorated making it a more inviting place for pampering and relaxation. When it comes to hygiene and cleanliness, you will find that the salon has tidy treatment rooms and fresh bed sheets and towels. Privacy of all clients are also a priority. They also have trained and experienced staff. Being waxed ‘down there’ or just even on your pits can be a bit daunting but their staff will explain to you the procedure in a friendly manner making you comfortable and relaxed while being waxed. 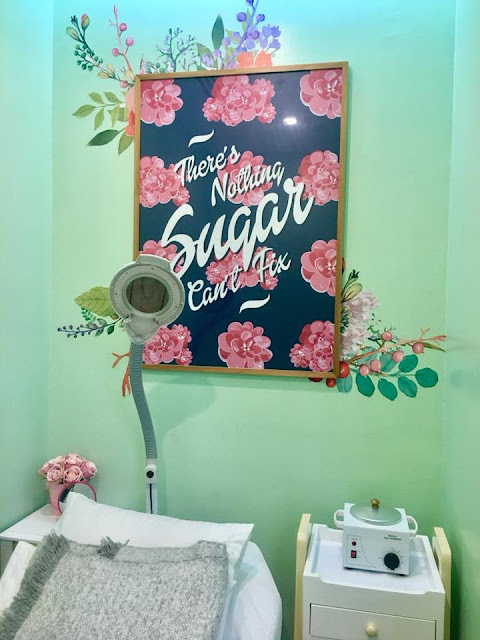 Hey Sugar! offers Face Waxing, Arm and Leg Waxing, Body Waxing, Bikini and Brazilian Waxing. Other services is available including Threading and Eyelash Enhancement. 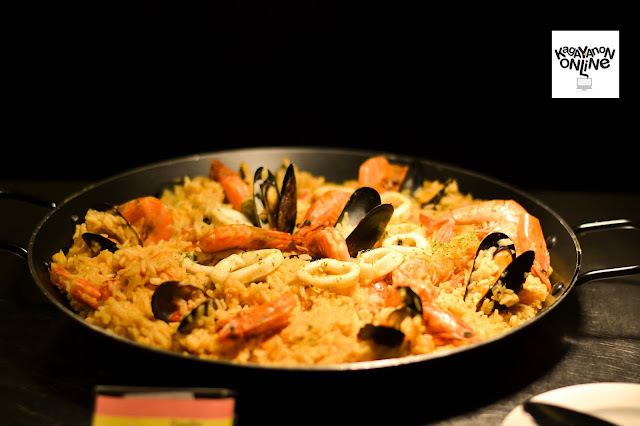 Starting November 9, Seda Centrio's signature restaurant, Misto, will cross international borders and pique diners' appetite with a number of Spanish dishes on its evening buffet by Executive Sous Che Robert Ortiz. The newest offering features an extensive spread, combining traditional and contemporary to fine effect and satisfy the Filipono palate --- transforming your regular dinner into time of adventure and discovery. Chef Robert has over 6 years culinary experience both locally and in abroad. He has worked as part of the culinary team in a Los Angeles restaurant, exposing him to different cuisines and cultures. 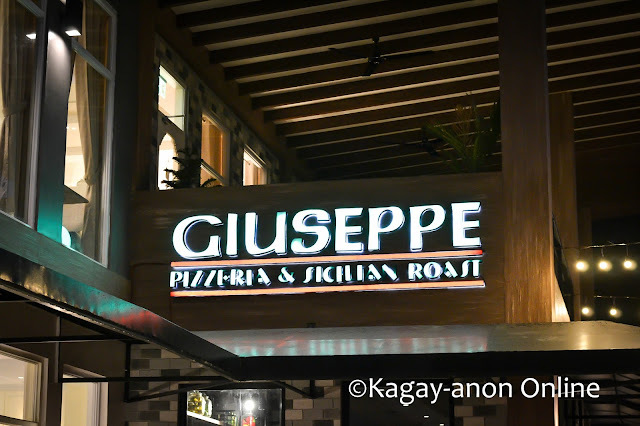 He also was a consultant of the well-known, Sans Rival Restaurant in Dumaguete. Coming to Cagayan de Or, he takes inspiration from his experiences and creates his own unique and creative twists on both local favorites and international classics. For this food promotion, Chef Robert showcases well- loved dishes hailing from the culinary regions of Spain --- including Gambas al ajillo, Albondigas and Paella Marinera. Despite having an intense influence in a majority of Filipino specialties, Chef Robert promises diners of that authentic Spanish experience. The menu boasts itself of Asian twists, revisits traditional Castilian flavors and features inventive dishes such as Grilled Eggplant with Tomato Vinaigrette/ Dicerning diners a;ways expect innovation in the menus served them, says Ortiz, and thus, we have planned to come up with different culinary themes for them to try out, Spanish being one of the firsts. Gambas al ajillo - is a Spanish popular dish found primarily in the south and center of Spain. 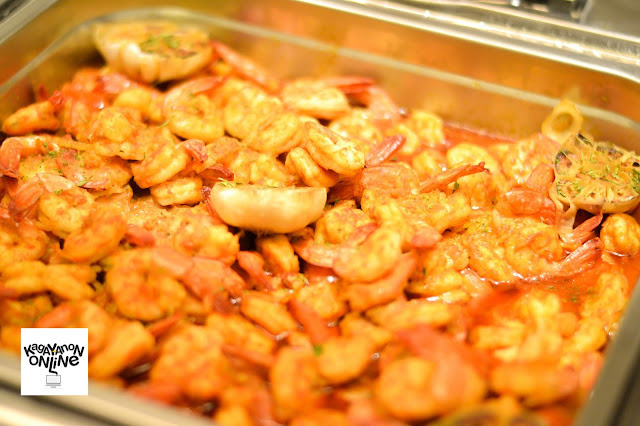 The primary ingredients consists of shrimp, garlic, and olive oil. 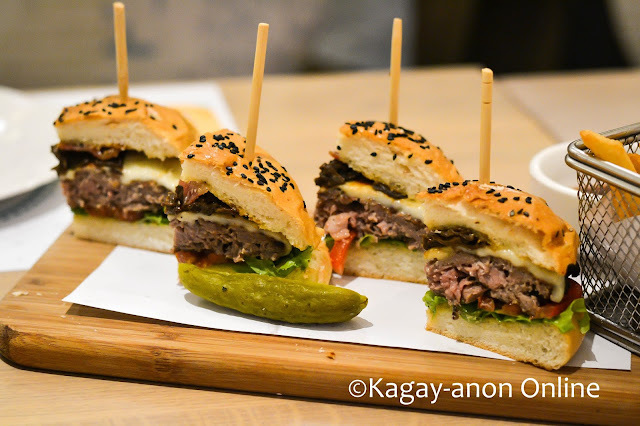 Misto, an Italian word for "mixed", offers dishes to please the palate of global travelers as well as highligthing specialties linked to the local culture. 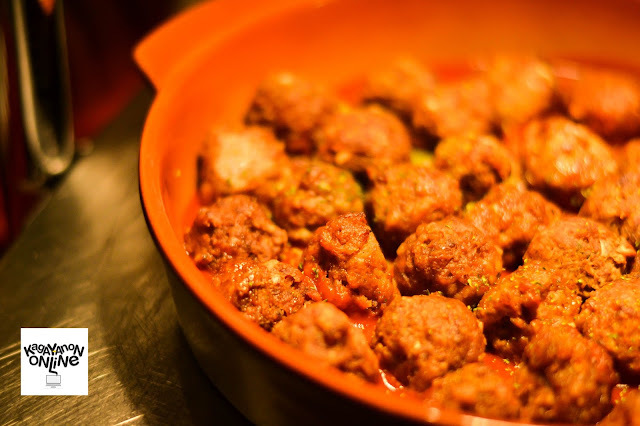 The Flavors of Spain promotion is under the Themed Dinner Buffets happening weekly and allows of infusion of new entrees and other dishes that Kagay-anons would surely enjoy and come to love. 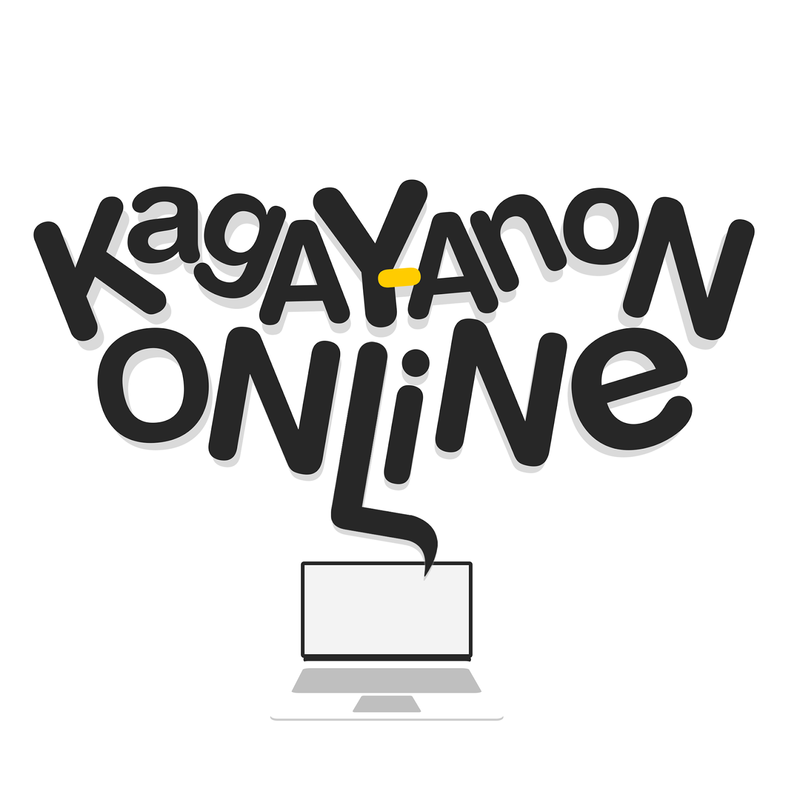 ​[08 NOVEMBER 2017] - Pinoy online shoppers will have a blast this month picking out their Singles’ Day wish lists and purchasing them at huge discounts with the help of various digital apps and platforms from Voyager Innovations and its business arms which includes PayMaya Philippines, FINTQnologies, Inc. (FINTQ), hatch, and Takatack Technologies. To kick things off this November, PayMaya is giving its users an exclusive 11% rebate from all their purchases on November 11, also known as Singles’ Day. Originating from China, Singles’ Day was established as a way for Chinese male and female individuals to celebrate being single, and turned into one of the biggest e-Commerce events anticipated annually the world over. PayMaya users can use their Visa cards, Smart Mastercards, and in-app virtual cards to qualify for the 11% rebate whenever they make purchases in-store or online, whether they’re in the Philippines or abroad. 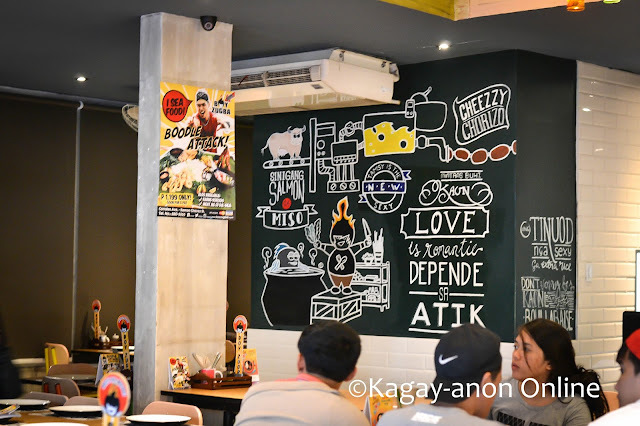 But when they use their PayMaya card to shop at Takatack this November, they can get an additional 20% off (maximum P500 discount) their purchase by entering the code 11+[First four digits of their PayMaya card] (ex. 114404)! 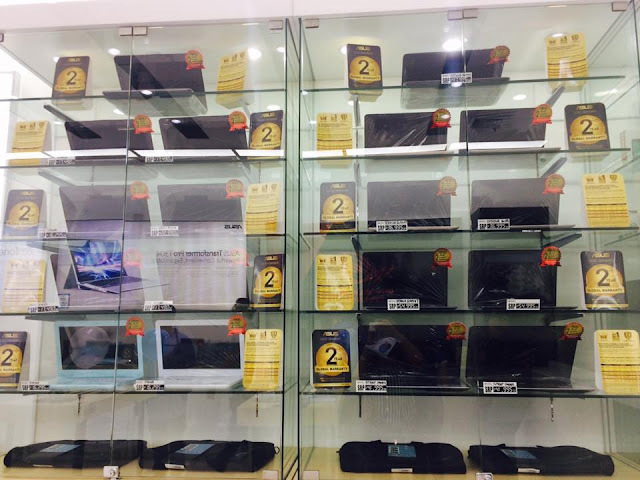 This means they can get as much as 50% discount on items for Singles' Day weekend, from November 9-11. 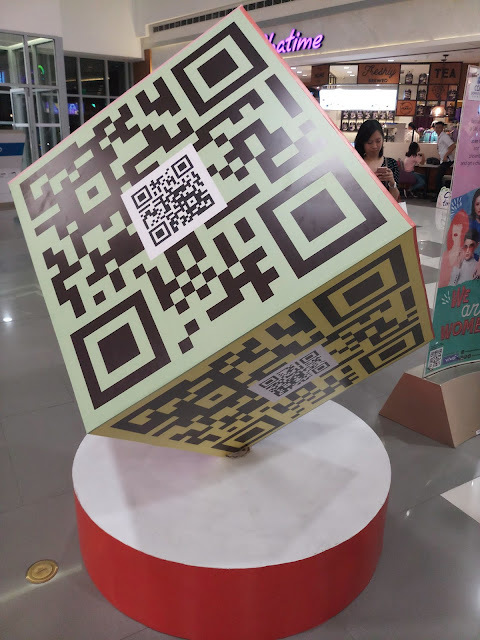 To complete the experience, when they register for an account on FINTQ's digital lending platform Lendr.com.ph, users will also automatically get a P150 discount voucher which they can also use for Lazada, as well as a promo code for an 11% discount which they can use to shop at Takatack. 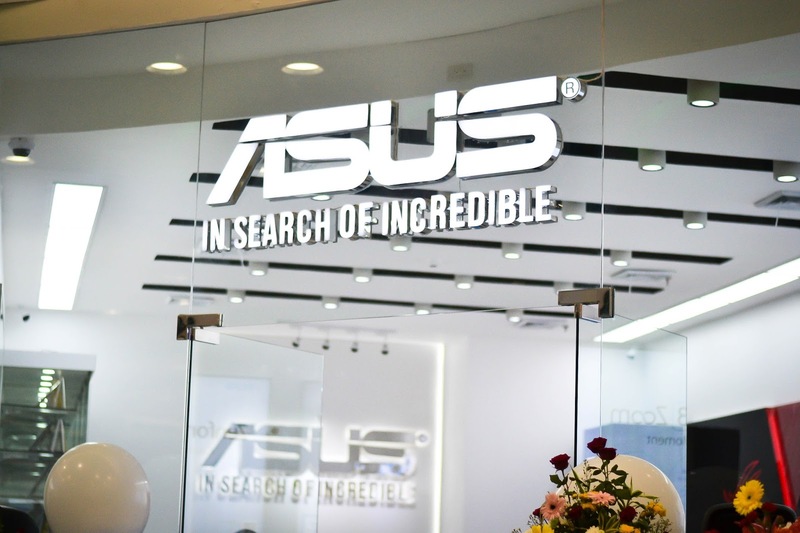 "This is our way of giving back to all our customers and partners. 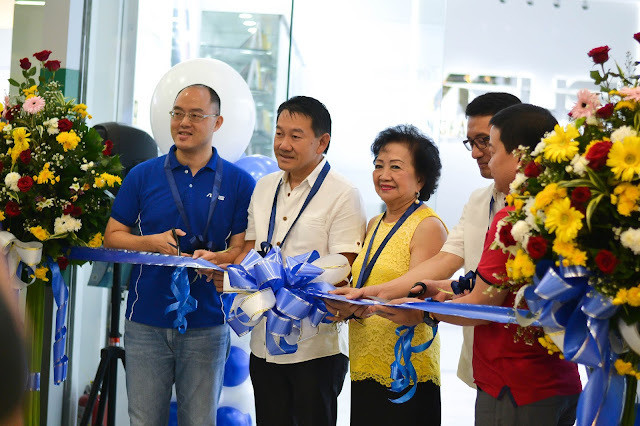 As we see adoption to our platforms grow, we hope more Filipinos get to enjoy the digital life and more businesses also get to benefit from the opportunities presented by digital. 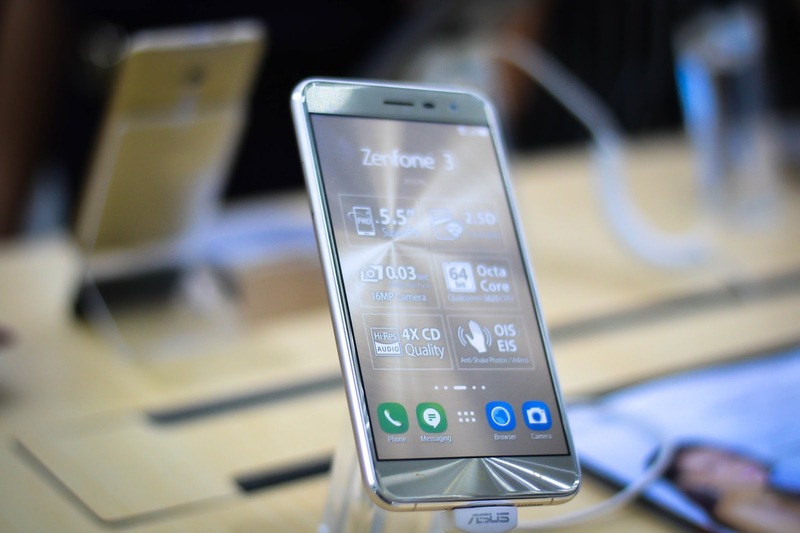 As the whole ecosystem grows, everyone grows too," said Orlando B. Vea, President and CEO at Voyager Innovations. 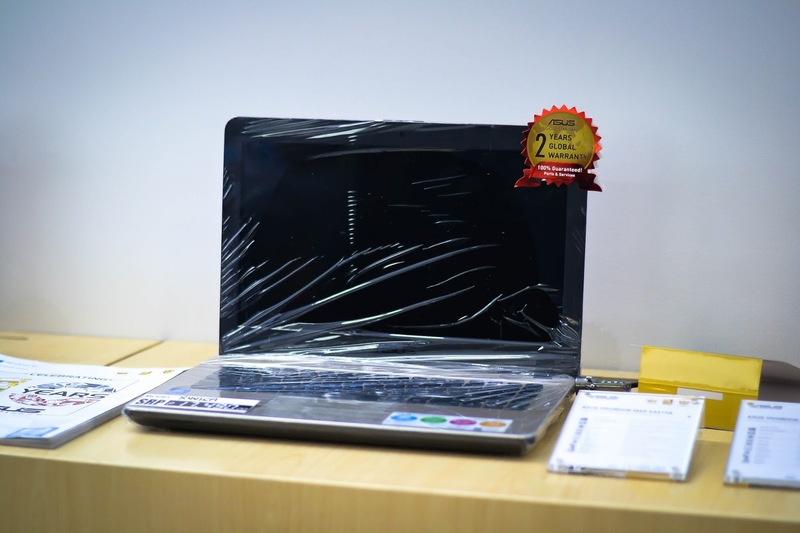 Voyager Innovations, the digital innovations arm of PLDT and Smart, has been leading the way in enabling consumers and enterprises to access the digital life with its unique and comprehensive suite of platforms in the areas of financial services, eCommerce, and marketing technologies. Even if you're not in a relationship, it’s still going to be an awesome Singles' Day indeed–all thanks to various digital platforms from Voyager! 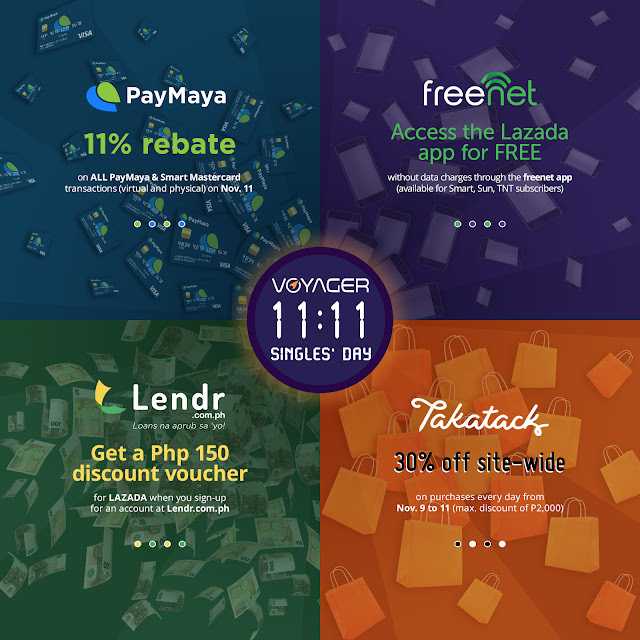 PayMaya 11% on 11/11 promo per DTI-FTEB Permit No. 12606, Series of 2017. PayMaya and Lazada promo per DTI-FTEB Permit No. 16901, Series of 2017. PayMaya and Zalora promo per DTI-FTEB Permit No. 12966, Series of 2017. 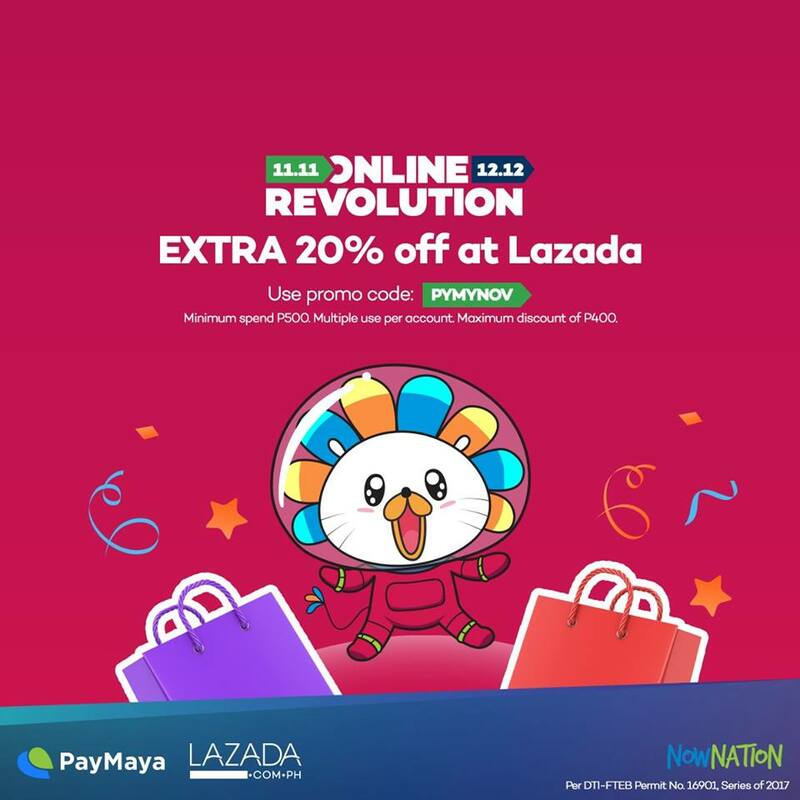 Lendr and Lazada promo per DTI-FTEB Permit No. 13652, Series of 2017. Lendr and Takatack promo per DTI-FTEB Permit No. 13774, Series of 2017. Takatack 30% discount promo per DTI-FTEB Permit No. 13868, Series of 2017. Visit www.nailaholics.com to check their services and find the branch nearest you. 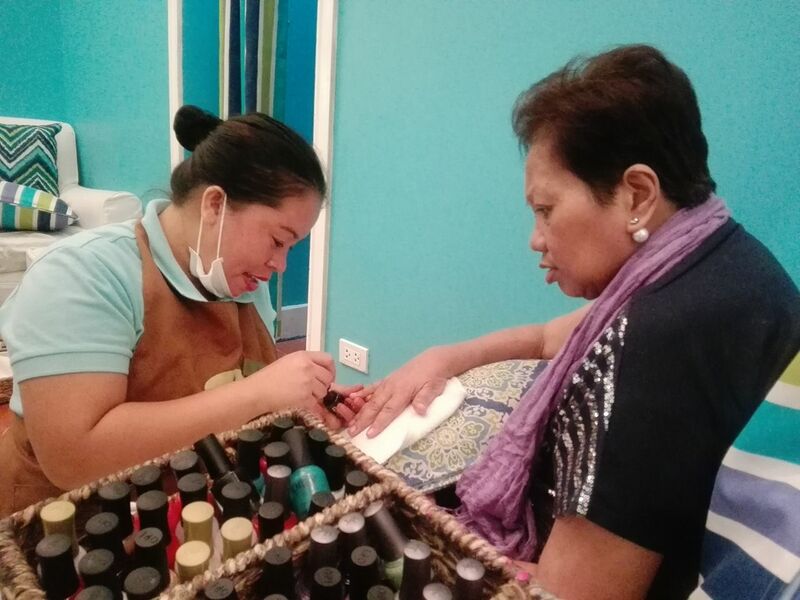 For Kagay-anons, you can either visit Nailaholics Centrio or Nailaholics SM CDO Downtown Premier. You can also get updates through their Facebook Page Nailaholics Nail Salon and Spa, Twitter @_nailaholics and Instagram @_nailaholics. 1A Express Hotel is located at the One Avenue Building (beside Magnum Radyo), CM Recto Sts. 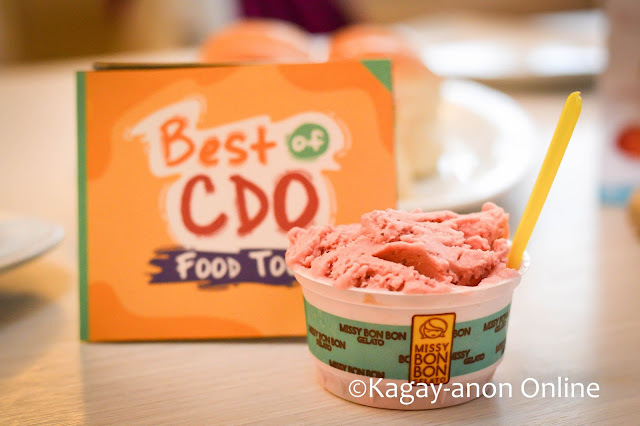 CDO. It is conveniently located as it is only a stone’s throw away from major shopping places like Centrio Mall, Gaisano Mall and soon-to-open SM CDO 2 Premier. This hotel caters comfort and convenience to business people and individuals who just wanted to spend a day for business and leisure. 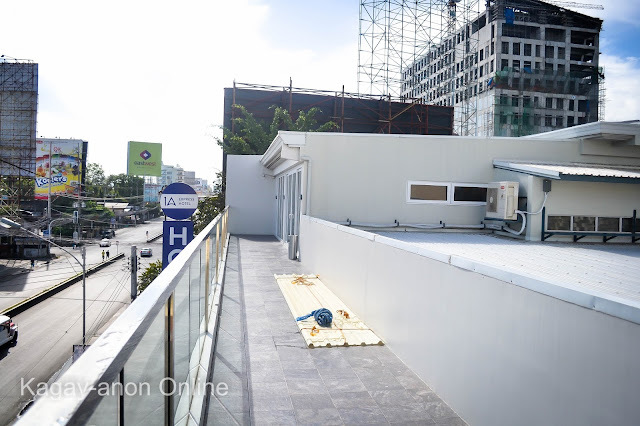 Although it is situated along the hi-way, you can hardly hear the noise of the busy streets of CM Recto while you are inside your room which makes this hotel an ideal place for rest. I was there last Holy Thursday where I spent my time praying and contemplating. 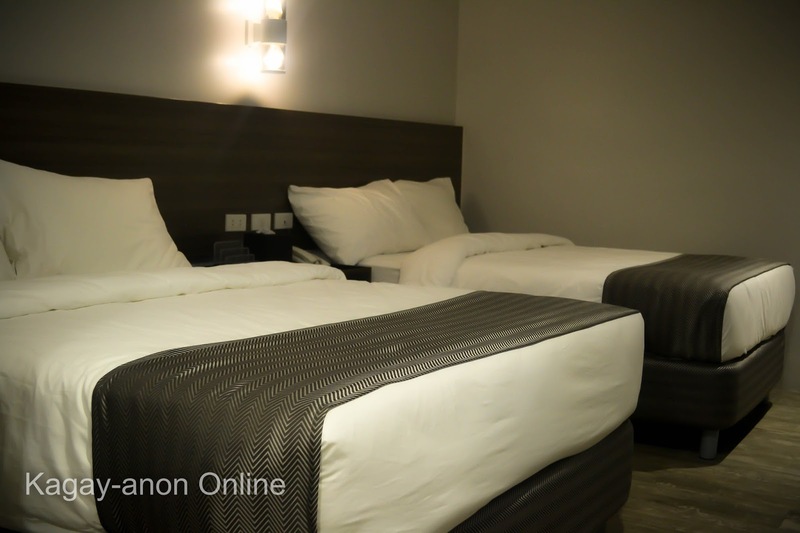 But whatever your reasons are, you can be assured that you will have undisturbed stay at the hotel. The entire hotel is remarkably clean. It is also well furnished and equipped with modern fixtures. The beds, pillows and blankets are comfortable. 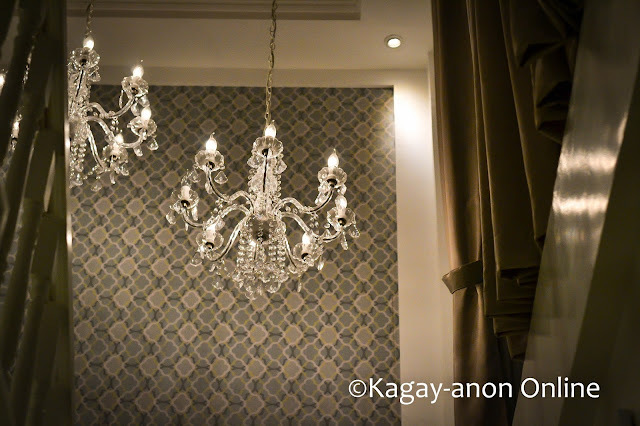 Also, the rooms are well lit making it ideal for selfies and photo ops. 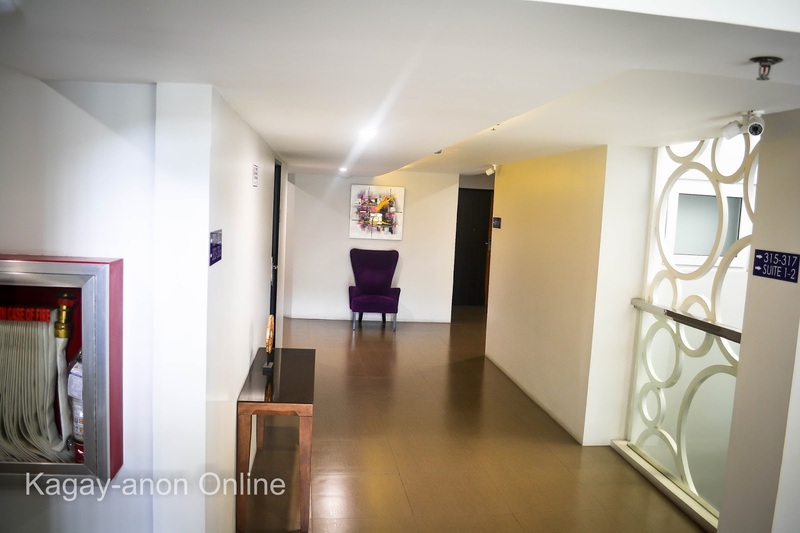 Moreover, they also have rooms specialized for PWDs which is located at the ground floor. 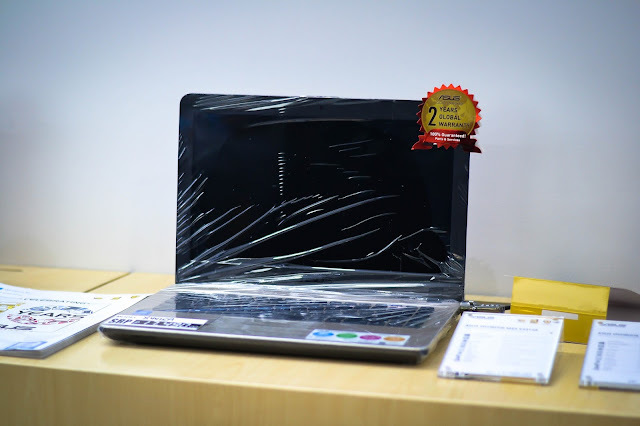 If you are a business traveler you will surely enjoy your stay at this hotel as it has high-speed internet. One of the things I look forward in this hotel was the breakfast. They offer two complimentary breakfast per room. 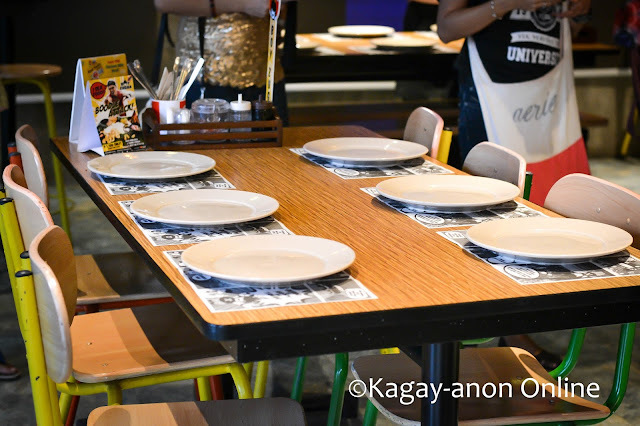 Guests can choose from the menu. All breakfast meals comes with a hot beverage either coffee or hot choco plus a glass of orange juice. 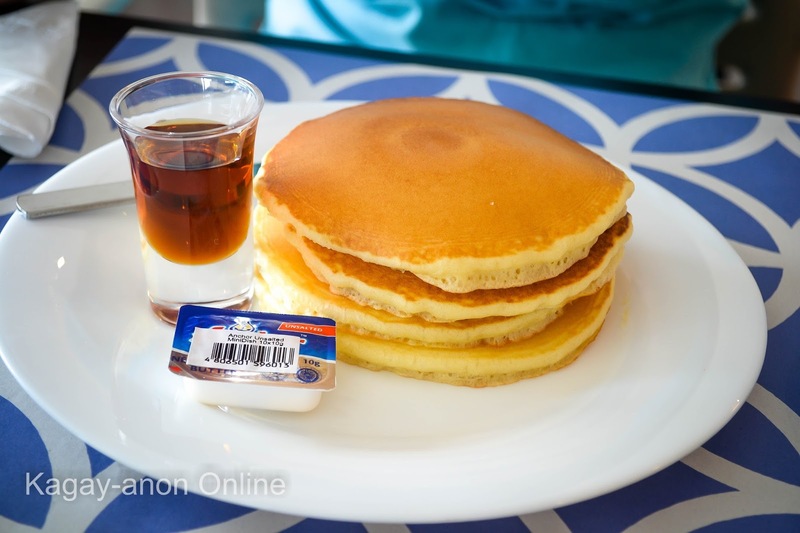 The pancakes are my favorite! One thing that really sets 1A Express Hotel apart from other hotels in CDO is the convenient location. 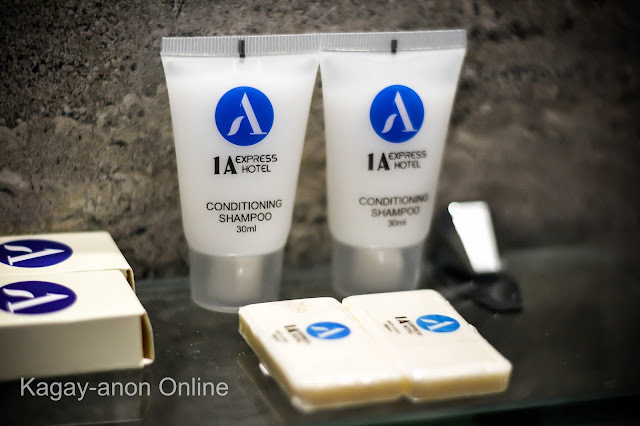 The hotel has convenience store, a salon and a laundry station at the ground floor. It is also a walking distance to affordable food establishments and malls. For travelers, the hotel is a 5-10 minute ride to the bus terminal and sea port. The soon-to-open SM CDO Premier is just one block away from the hotel. Hotel staff are very accommodating making sure that all the things you need are met. 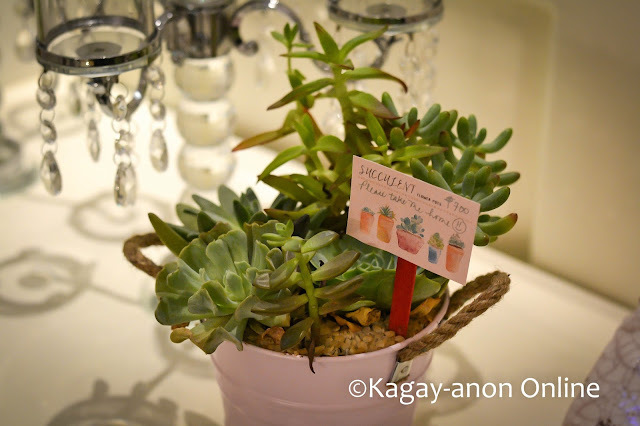 Not only that, they greet guests with sincerity even if you are just walking around the hotel corridors. 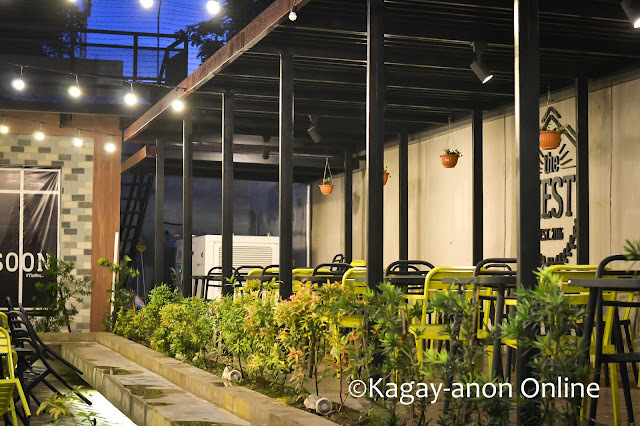 If you are new in CDO, you might want to check out 1A Express Hotel. For bookings you may contact 09176701239 or you can email 1aexpresshotel@yahoo.com. 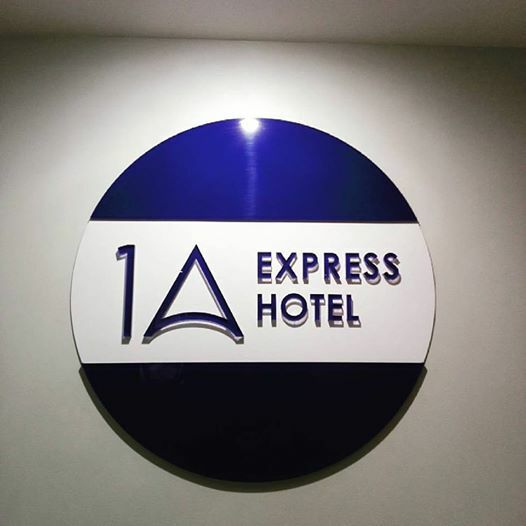 You may also visit 1A Express Hotel Cagayan de Oro Facebook Page to check the latest promos and best deals. H&M Hennes & Mauritz, Inc. continues its expansion in the southern part of Philippine shores, as it opens what will be its 18th store in the country this month! 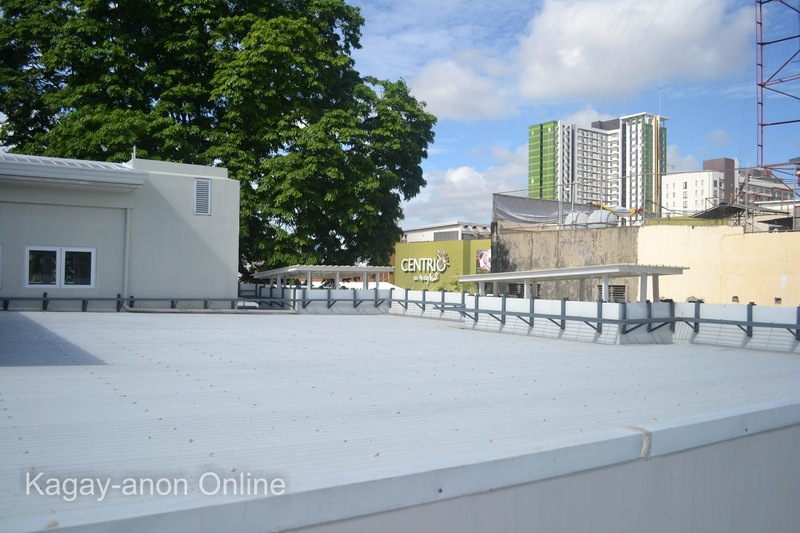 Opening to an exciting set of new shoppers in the fast-developing city of Cagayan de Oro, the over 1,500-square meter store will open its doors in Centrio Mall on October 27, 2016. 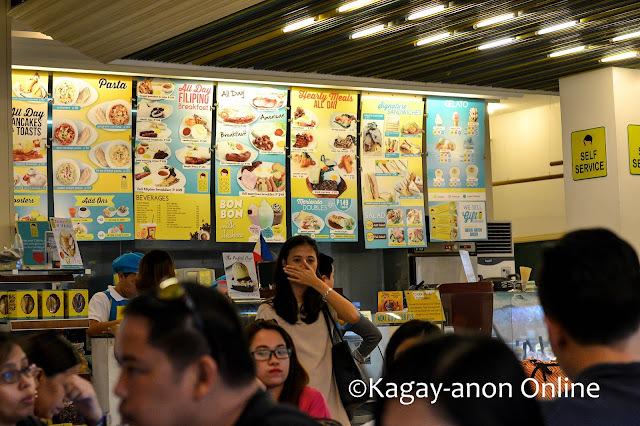 “The response from our Mindanao customers, after we opened our 1st store in Davao just last month, has been incredible! 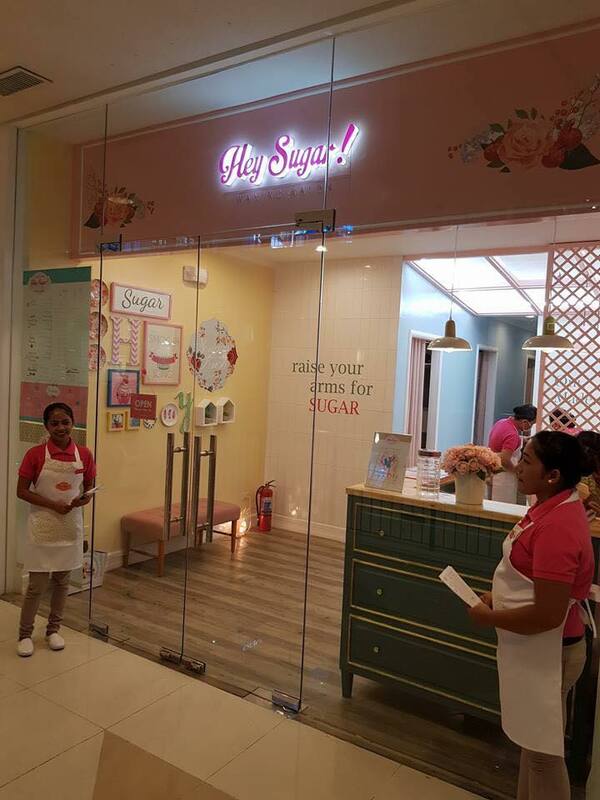 We look forward to catering to even more of the same vibrant shoppers in Cagayan de Oro, as we open in Centrio Mall. 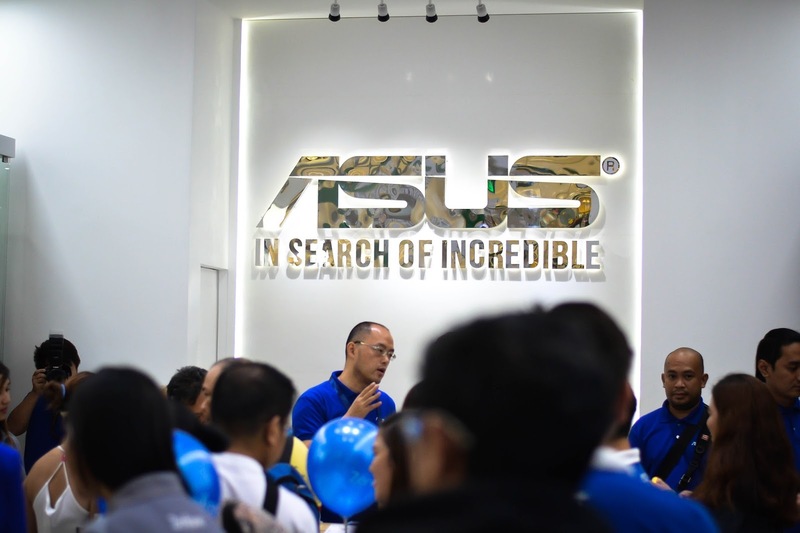 We hope to be the city’s destination for fashion and quality at the best price, in a sustainable way,” says Fredrik Famm, Country Manager for South East Asia. “We have also selected a great group of H&M team members to give you the best shopping experience in this store, and we hope you will welcome and embrace them as your own!” he adds. 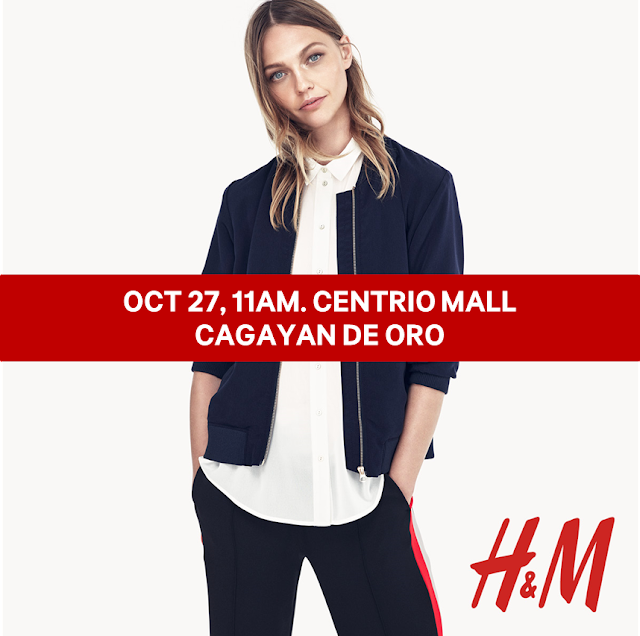 CDO’s first H&M store will carry the full assortment of H&M including ladies, men’s, kids, shoes, accessories and lingerie. It will also feature a full sports, denim and underwear department for both men and ladies. Within all of these the mindful shopper will find an array of Conscious and sustainably-produced products, and offer the option to donate used clothes and get a discount voucher to use for their next purchase under H&M’s Garment Collecting program. Those shopping on opening day can also expect great offers! Gift cards of varying amounts from P300-P2,000 will be handed out to the first 300 in line, with a special prize of P5,000 for the first. The next 300 will walk away with special H&M umbrellas and tote bags. A special treat also awaits stylish shoppers – 3 of the most fashionable people spotted in the queue before opening will be chosen and given P2,000 Gift Cards each. For everyone else shopping until the weekend, great fashion finds for as low as P300 await. 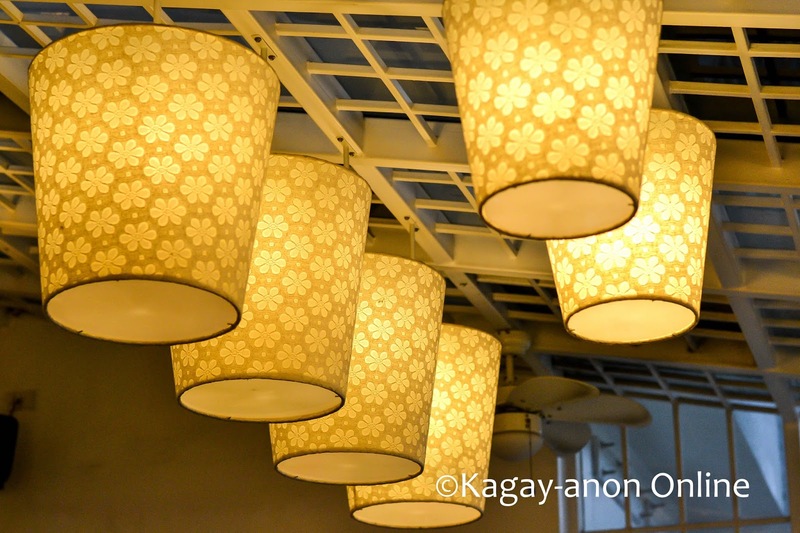 The store will open on October 27, from 11am-9pm, and regular operating hours from 10am-9pm will resume thereafter. 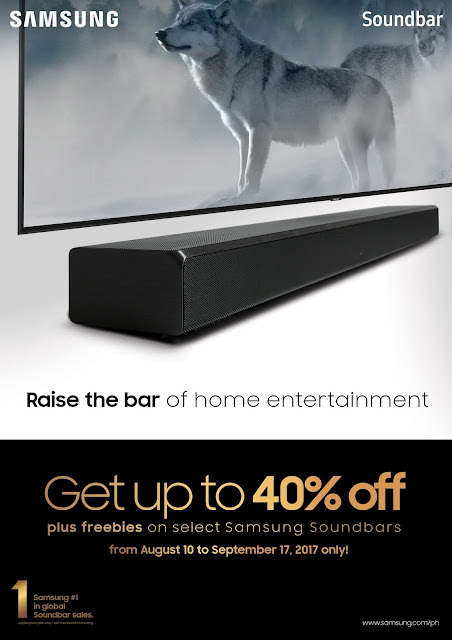 Now is the best time to upgrade your family’s home entertainment system as Samsung launches the GIGA Fiesta Promo. Get a free 32-inch Samsung Hyper TV and a DVD player for only Php 990 when you buy a Samsung GIGA Sound MX-HS7000 or MX-JS8000. This special offer is valid during the Higalaay festival from August 22 to August 31, 2016. 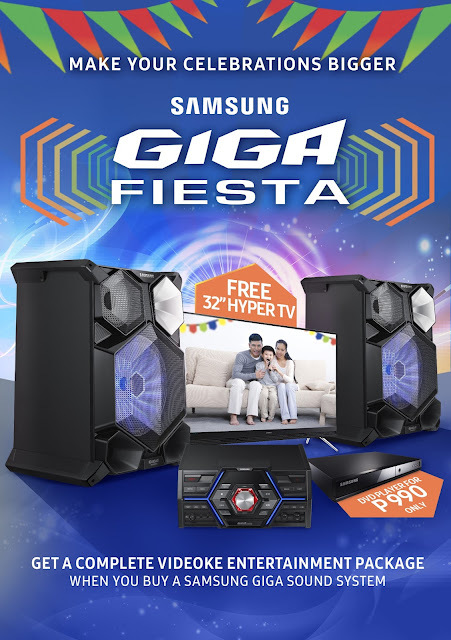 The Samsung Giga Sound System is the perfect entertainment system for your fiesta celebrations. It produces 2,400-watts of clear, quality sound with a powerful bass. Create fun and memorable singing sessions with the Karaoke function. Liven up your party with family and friends with the built-in DJ Beat and Lighting effects that pulse to the music’s beat. Visit the following Samsung authorized dealers in Cagayan de Oro City for more details: Imperial, Quality, and Solidmark. 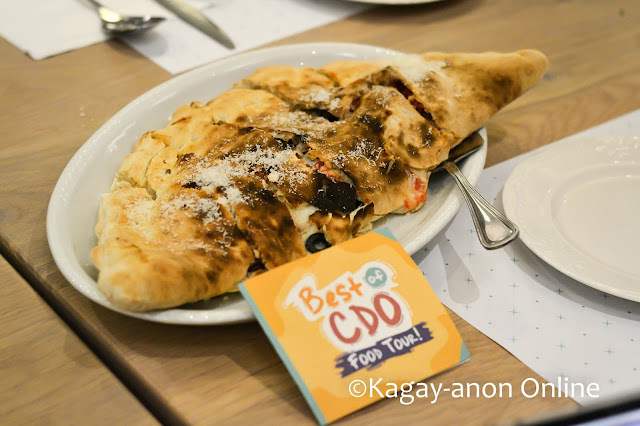 Best of CDO Food Tour - A Must Try! 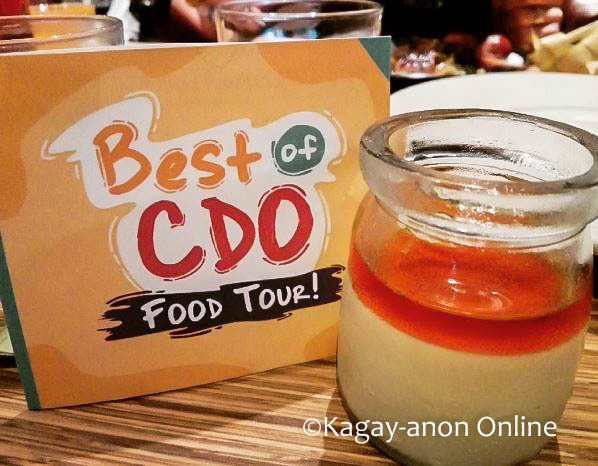 Best of CDO Food Tour – A Must Try! In line with the Higalaay Festival 2016, BQFC Marketing team invited CDO Bloggers for the first ever Best of CDO Food tour. The tour was aimed to showcase the best of Cagayan de Oro food and enjoy famous landmarks while riding the legendary motorela of Cagayan de Oro City. 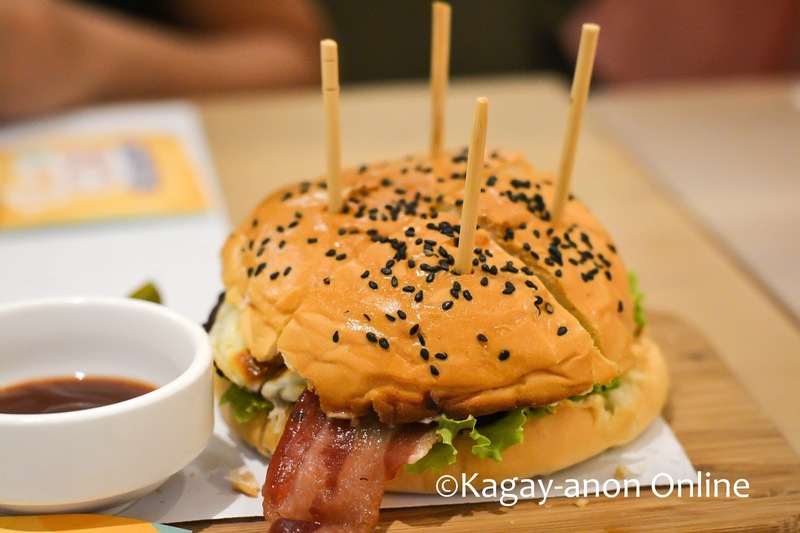 Bigby’s was first introduced in CDO in December 8, 1998 and how has 7 branches across the archipelago. 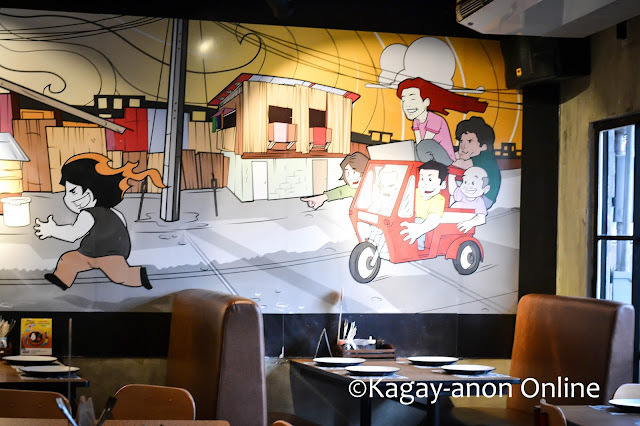 Once inside the restaurant, you will find their interior design and service style very interesting because everything was created to position the concept midway between fine dining and fast-casual dining. 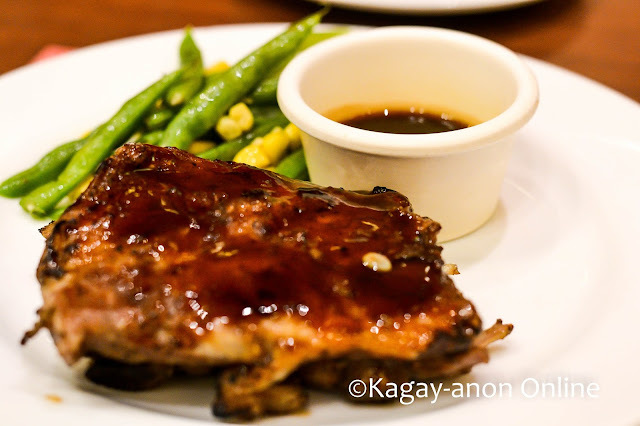 First on my plate was my Bigby’s favorite, the Rack-a-Bye-Baby, a finger-licking goodness of premium cut smoky barbecued pork ribs. I also had CDO Sinuglaw, a certifified Bigby’s favorite. 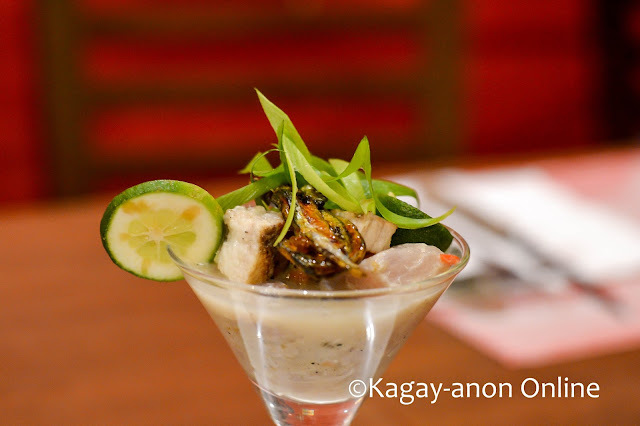 It’s “sinugbang baboy” and “isdang kilawin” recipe with a twist of dilis as toppings. 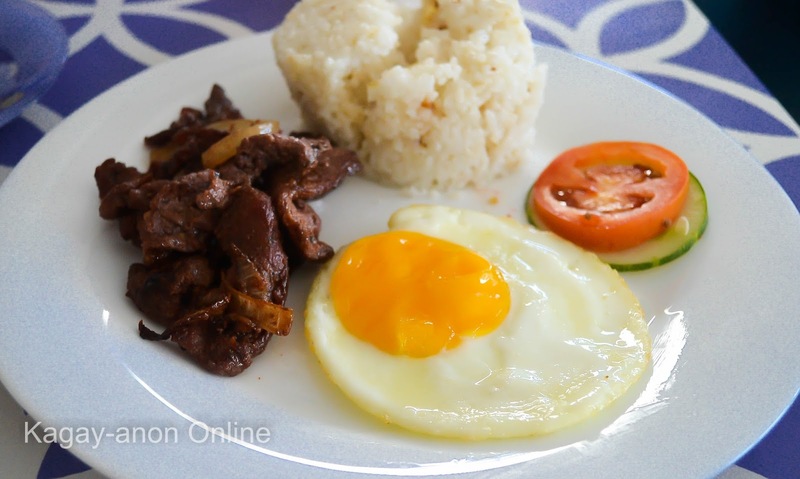 Not to mention, this dish is one of Urban Life’s nominee as one of the best Filipino dishes. 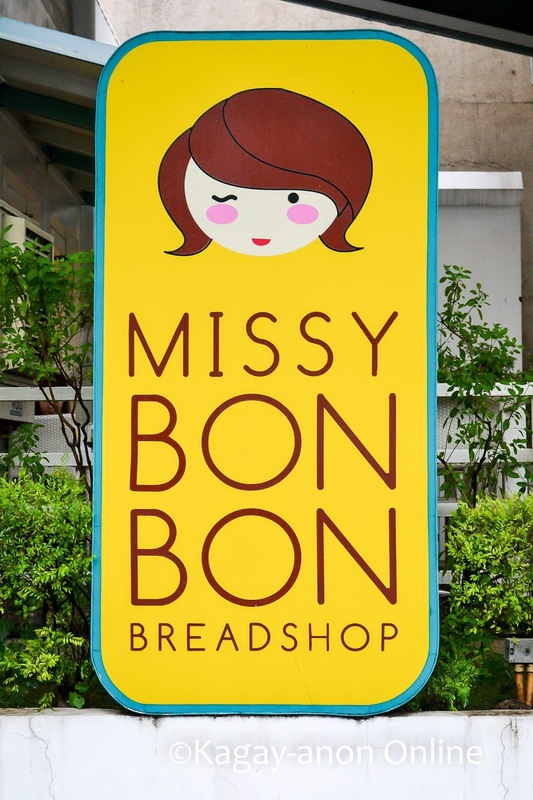 Missy Bon Bon Bread shop opened its kiosk in CDO in December 2009 launching its first line of breads and gelato. In April 2010, it opened its flagship store in Limketkai Center. Missy Bon Bon is a hip, cozy, and relaxed world-class bread shop serving healthy, natural, and freshly-made bread onsite with unique fusion interpretations of local bread products, gourmet comfort food and custom gelato mixes. Missy Bonbon’s creamy gelato is everyone's favorite. 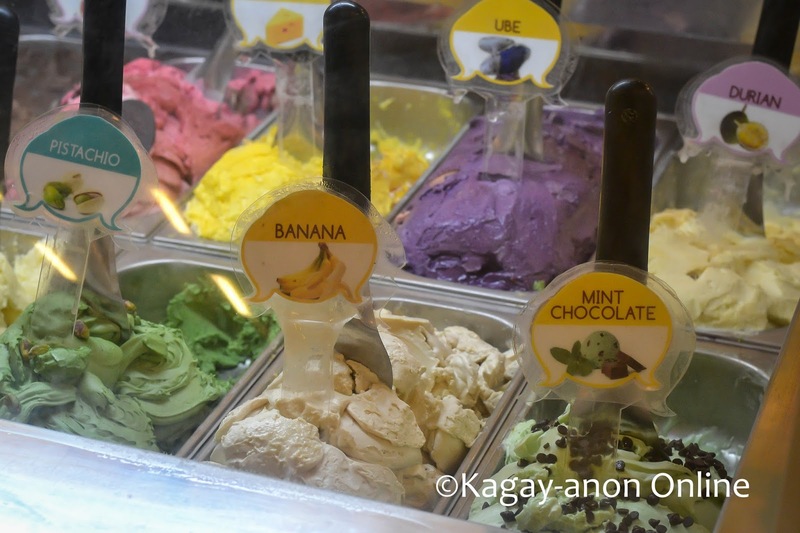 Because there were so many varieties to choose from, I opted to try the strawberry gelato. I like it coz, it’s not too sweet just right for my taste buds. 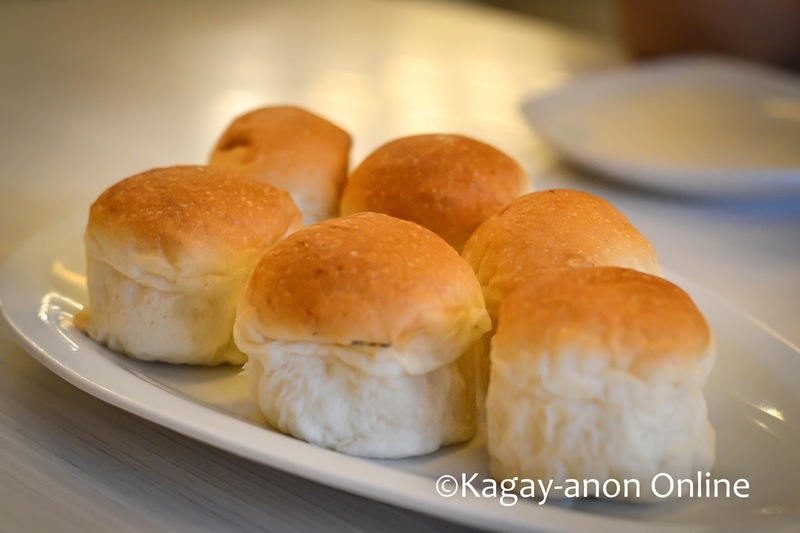 We also tried their famous Pastel, a sweet filled bun that has been awarded by Urban Life-Mindanao Gold Star Daily as the 2016 Best Delicacy of the Year. 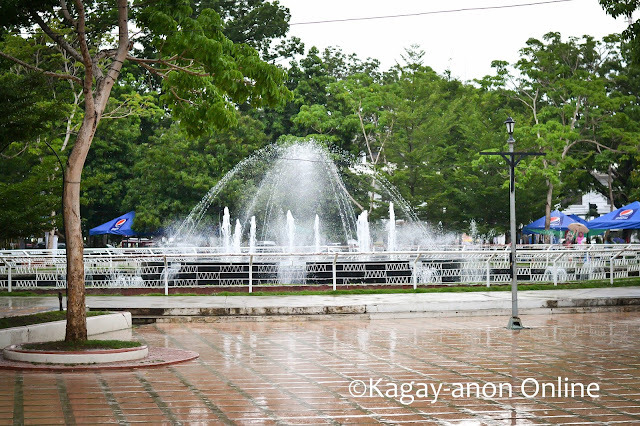 We had a little bit of a side trip at Gaston Park but it was cut short because of the rain. On Tuesdays, 7PM is the Trivia Night (hosted by James Tubeo) and Fridays, 7PM is the TGIB or Tara Go It’s Beernes” with stand up comedians and a guest band. 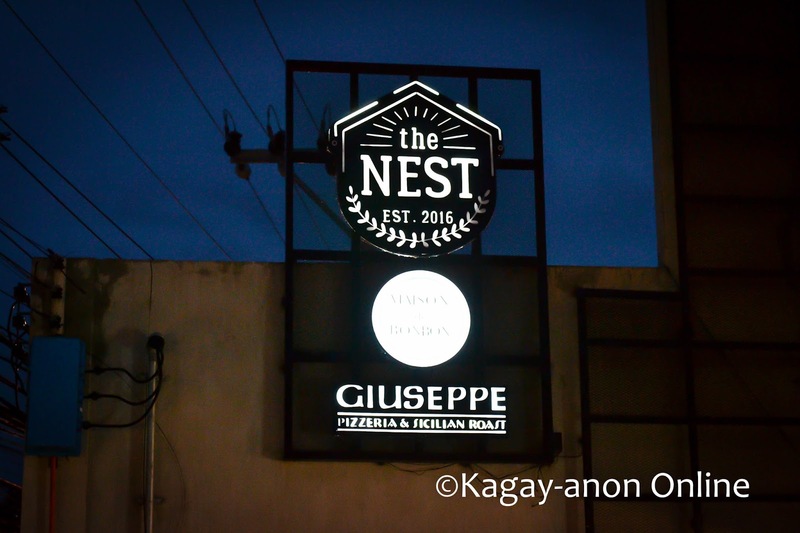 The Nest welcomed its first batch of patrons in June 2016, bringing the best of renowned European culinary masterpieces that won the hearts of every Kagay-anon. 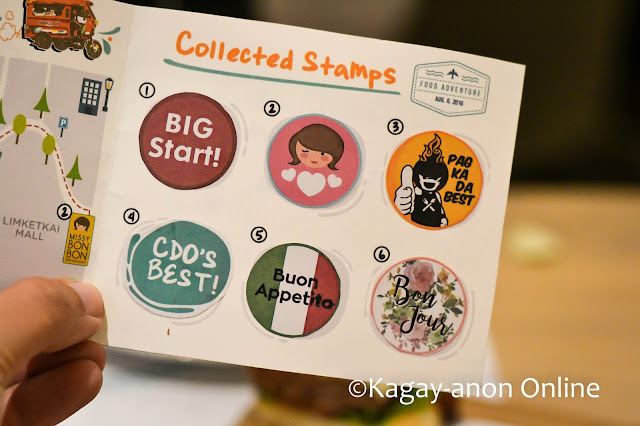 The Nest, carrying two brands, Maison de Bonbon and Giuseppe, delivers the finest of both French and Italian Sicilian cuisines. The Nest embodies the best aspects of globalization by bringing the sumptuous food of Europe to the dining tables of the inherently sunny people of Cagayan de Oro, be it the families looking to bond through opulently-served entrees, or the individuals that yearn to unravel from work by being fed food bursting with zest and flavor. One of the must try dishes are Maison de Bonbon Cafe and Restaurant Burger Américaine U.S beef burger patty on a sesame bun with crisped bacon slices, sautéed Shiitake mushrooms, grilled tomatoes, melted gruyere cheese & fresh green lettuce. Served with seasoned salt French fries. You might want to try this food adventure too! 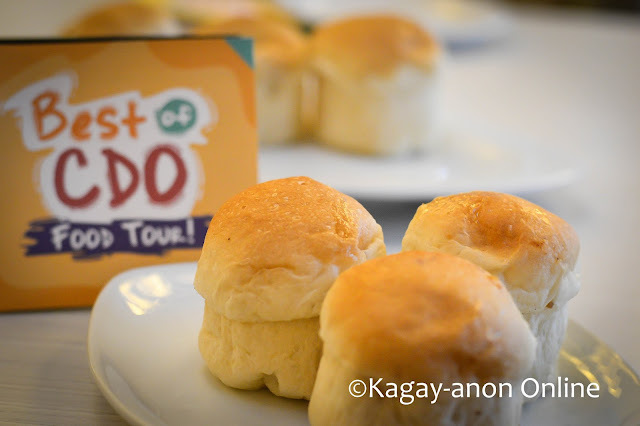 You can visit the Best of CDO Food Tour FB Page or send an email to bestofcdofoodtour@gmail.com for more details.